Are you wanting to start a cannabis business? Having the drive is important, but it’s also competitive. You’ll have to make yourself stand apart from all the other cannabis companies out there. What you need are creative cannabis marketing ideas! Things like hosting a cannabis-friendly event, including cannabis accessories in your store or on your site, launching cannabis cosmetics or including edibles recipes on your blog can actually make a world of difference in the eyes of your potential customers. Want to know more? Here are ten awesome cannabis business ideas to get your company up and running. Everyone likes to take their goods on-the-go! Cannabis users are no different. 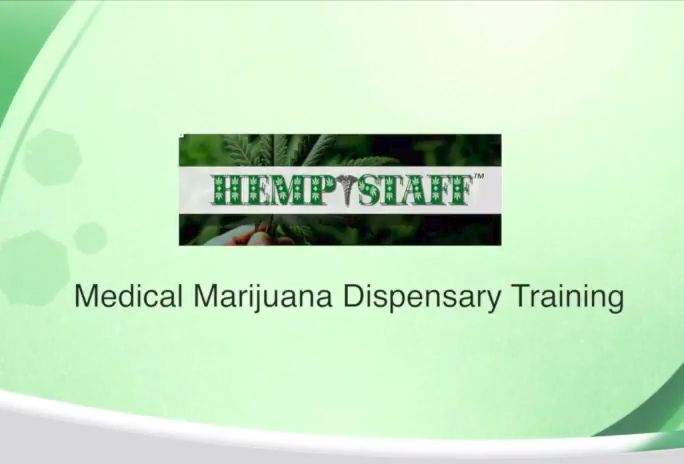 It’s convenient to take it anywhere, especially for those who use it for medicinal purposes. Just do a little bit of research on what a cannabis user needs for portable use and sell a kit that has everything in it. If you don’t have the means of making your own kit, you can use an existing kit from a reputable source. Be creative and ask around for ideas from anyone you know who is a cannabis user or medical marijuana patient. There is a huge market for cannabis-infused cosmetics as of late. This is because new research has revealed all of the health benefits of using cannabis skin creams and balms. It’s wonderful for those with chronic pain, like arthritis, because cannabis oil fights inflammation. There are many brands out there who are already jumping on the bandwagon. Why not throw yourself into the ring? It’s too big of an opportunity to give up. If someone is a big enough fan of something, they will buy accessories that are centered around it. Take stores like Gamestop for example, the main thing they sell are video games, but you can also buy coffee mugs, bags, keychains, lanyards, shirts, the list is just about endless. You can apply the same concept to your cannabis business. On top of, or instead of, selling cannabis, you can also venture into water pipes, ashtrays, hand pipes, vaporizers, grinders, rolling papers or myriad of other cannabis accessories. It’s also a matter of convenience. People not only enjoy buying accessories tied to their hobbies but if they can get all the things, they need in one place, chances are they probably will buy them all in one place. People love to travel, but it’s hard to find a hotel that they can stay in while still using cannabis, especially if they are smoking cannabis. So, think about how much business you would get if you hosted a cannabis-friendly bed and breakfast. You can decorate it any way that you like with the appropriate music and lighting to cast the most relaxed atmosphere possible. Consider also selling edibles and other cannabis-related goodies, like cannabis accessories we mention in #3 above, that customers can buy during their stay. 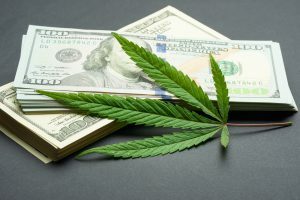 Sometimes consumers, in states that legally allow it, want to grow their own cannabis and this can be slightly challenging if they don’t have the means to do it. You can be a game changer for them by selling an indoor incubator pre-made and ready to go. Most of them are no bigger than a minifridge so your customers will love how it can basically fit anywhere in their house. They can also produce high-quality cannabis if the instructions are followed correctly, which you may need to consult with a cannabis grower to ensure you provide correct instructions. The world of cannabis is a tricky one. There are so many rules and regulations that are centered around it. If you’re located in the US every state has different laws on it. It can get confusing and exhausting to entrepreneurs trying to break into the field. You can become their hero if you have experience with it. You can act as an advisor to these newbies and guide them through the shifting sea that is rules and regulations. Many times, this is limited to those with either law degree or years of cannabis experience under their belt. As cannabis grows in popularity, there’s a greater need for software developers who can launch apps and platforms for consumers. If you have coding skills, this might be a good opportunity for you. People like to stay updated with the newest stories on cannabis. Also, apps that have growing tips are a great idea too. There are literally thousands of ideas for cannabis apps, and only a few have already been released. People like being around people who enjoy the same things that they do – that includes cannabis! Potential customers, and cannabis consumers, will also like having their hobby incorporated with a fun event like painting or biking. So, if you’re good at, or like planning events, your business might benefit from you setting a few up in the right markets. Do you enjoy baking about as much as you love cannabis? We have good news, there is a fun way to combine the two to market your business. You can offer baking seminars with recipes that incorporate cannabis oil. You can take this to the next level by either selling cooking books, or by posting cannabis recipes on your blog or site. Cannabis is growing in the art world. There are cannabis-themed clothing items that are selling for thousands of dollars. You also will see cannabis-themed glassblowing and other cannabis artists. If you have a passion for both cannabis and art and want the best of both worlds, consider using art to promote your business. There is no harm in selling some of it on your site. Who knows, cannabis art could be the next big thing! The world of cannabis is a very competitive one. You need to come up with fresh marketing ideas so you can stay ahead of the game. Not ready to start your own business, but rather get into the expansive job field that is cannabis? Stay ahead by contacting us. We will tell you when we have training available or when job openings are in your area.